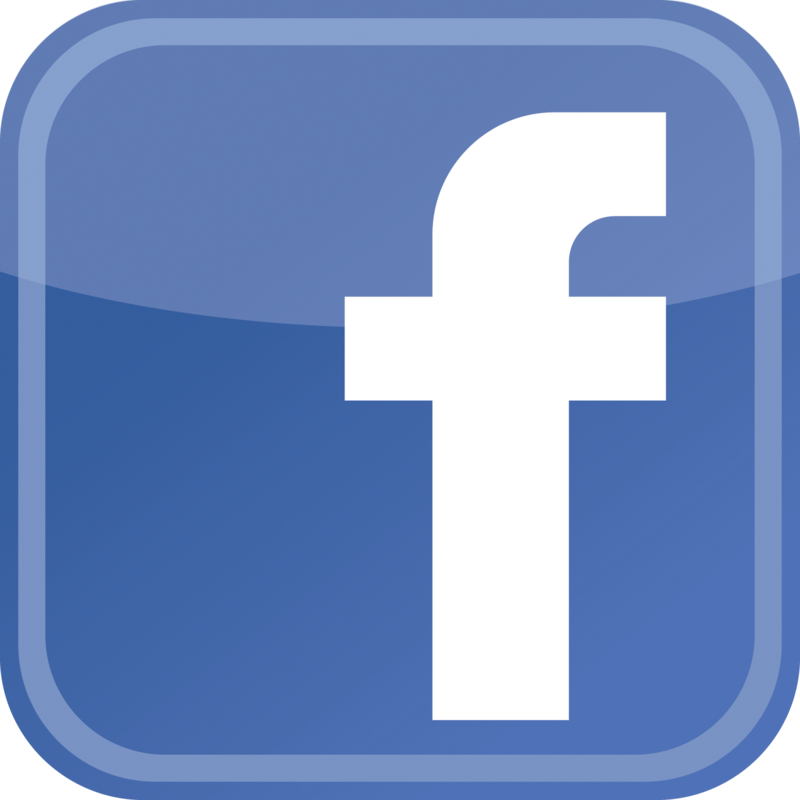 15 JUL 2016 Elp Tribute Project Live MONSELICE ITA Woodstock Village "Again and Now"
8 JUL 2015 Elp Tribute Project Live ABANO TERME ITA Woodstock Village "Again and Now"
20 JUL 2014 Elp Tribute Project Live ABANO TERME ITA Woodstock Village "Again and Now"
20 JUL 2013 Elp Tribute Project Live ABANO TERME ITA Woodstock Village "Again and Now"
Durante il periodo Aprile/Maggio 2006 Mauro Aimetti (Basso, chitarre e voce, collaboratore di Giulio Capiozzo - AREA -, Bernardo Lanzetti & Walter Calloni - PFM - Ged Lynch - Peter Gabriel - Phil Palmer - Eric Clapton -, Hossam Ramzy - Page & Plant - ect. fonda il suo PROG PROJECT (Emerson, Lake & Palmer Tribute). Incontra lungo il cammino artistico del progetto Larry Ceroni (pianista diplomato in piano) e Oscar Abelli (batterista ricco di esperienze in campo Rock Progressive). Il 2 Luglio 2007 ELP Tribute Project ottiene un grosso spot sulla TV RAI TRE all'interno del TGR con un servizio che è seguito da 600.000 persone nel Nord Italia e che mostra una parte del loro concerto/Evento Unico tenutosi il 9 Giugno 2007 nella Basilica Consacrata di Lorenteggio (MI). Per la prima volta sull'altare dopo la Messa, un gruppo Rock suona in luogo sacro un Tributo a Emerson, Lake & Palmer!!! La Chiesa è gremita anche di fans storici che videro ELP nel Maggio 1973 al Velodromo Vigorelli di Milano, che escono entusiasti dal concerto dicendo che il tributo è perfetto nei suoni vintage, nell'amalgama e nella voce che ricorda molto Greg Lake nel suo splendore degli anni 70. Una chicca: viene utilizzato anche l'organo a canne della cattedrale per il concerto... Oltre ad una serie fortunata di concerti e partecipazioni ai festival in Italia, ELP Tribute Project s'imbarca in un Tour Europeo a Novembre 2008 u.s. sotto il Management dei famosi "The Musical Box" (il tributo ufficiale dei Genesis). Il Tour è per celebrare il 35° Anniversario del capolavoro "Brain Salad Surgery" che usciva neanche a farlo apposta il Novembre 1973! La band ripercorre le stesse nazioni che videro i veri ELP protagonisti nel 73! (Holland, Germany, Belgium, Netherlands, Switzerland and Germany again)! Il feedback molto positivo e il riscontro di pubblico ad ogni concerto europeo è molto incoraggiante per ELP Tribute Project. Ogni sera i fans sono in aumento di presenze e i commenti sono all'unisono gli stessi: "wow, se chiudevo gli occhi sembrava di stare davanti ai veri ELP nel loro stato di grazia del 1973!.... ", "grazie per il grande regalo che ci avete fatto questa sera! Ho aspettato di sentire dal vivo gli ELP... ho tutti i dischi... mio figlio non era ancora nato..e questa sera li abbiamo sentiti!!.." 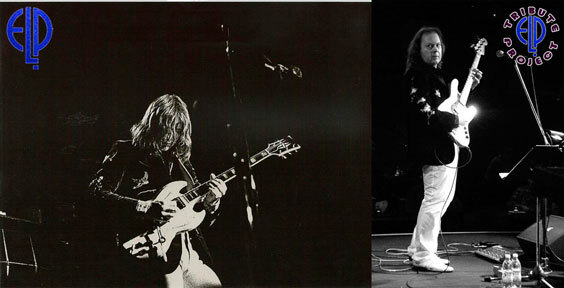 Il Tour si chiude il 21 Marzo 2009 nel prestigioso e storico ('68) Cinema Politeama di Varese dove 400 fans di ELP arrivano da molte città italiane per assistere allo "SHOW THAT NEVER ENDS". A Varese arrivano da: Ravenna, Carpi, Modena, Padova, Crema, Seveso, Milano, Bergamo, Novara, Cantú, ect.) Ed ecco il resoconto del grosso evento creato appositamente per ELP Tribute Project! Il 27 Ottobre 2009 ELP Tribute Project viene invitato dall'orchestra Sinfonica di Amburgo a suonare insieme a loro (Primo gruppo Rock invitato da questa prestigiosa Orchestra che esiste dal 1956!!!) Il trio di Mauro Aimetti ripropone la versione di Knife Edge tratto dal primo disco di ELP del 1970 e poi esegue insieme ai 60 elementi dell'orchestra sinfonica "Pictures At An Exhibition" di Mussorgskyj nella versione degli ELP + Orchestra del WORKS Orchestral Tour del 1977! Grazie alla stretta collaborazione tra Mauro Aimetti e il direttore Bruno Merse, viene studiata e arrangiata insieme la partitura della Suite di Mussorgskyj che permette di allestire per l'appunto "Pictures At An Exhibition" solo con 1 prova dell'ELP Tribute Project insieme all'Hamburger Symphoniker Orchestra, il giorno stesso del concerto a Amburgo! Il successo è visibile nei video presenti su Youtube (canale "JacoMauro") dove alla fine di "Great Gates of Kiev" il pubblico della stagione sinfonica di Hamburg si alza in piedi per una standing ovation che viene alimentata con 4 minuti di applausi continuati! Grazie a questi video pubblicati in rete, ELP Tribute Project s'imbarca nel suo Primo U.S. Tour a Maggio 2010 suonando in lungo e in largo sulla East Coast da Cleveland a Pittsburgh, Buffalo, New Haven, e molte altre città americane, approdando al prestigioso BB King Blues Club a NYC sulla 42nd Street nel cuore di Times Square! Anche qui in America, i fans storici di ELP accolgono con un grande entusiasmo ELP Tribute Project dicendo all'unisono: "Se chiudo gli occhi sono davanti ai veri ELP! Voi ragazzi siete Great! Avete preso lo stesso sound dei primi ELP del 70/71 che è il nostro periodo favorito del mitico trio inglese!" Tutte le sere lo Show dura due ore e trenta minuti di fila! Nella scaletta vengono riproposti per intero i primi 4 lp storici di ELP! Compresa la suite integrale di "Pictures At An Exhibition" del famoso Live in London del 1970 e la suite immortale di TARKUS...... Il 16 Aprile 2011 u.s. ELP Tribute Project si è esibito nell'ambito della "Prog Rock Exhibition" nel prestigioso e storico ('68) Cinema Politeama di Varese davanti a una platea gremita di oltre 600 fans di ELP arrivati da molte città italiane per assistere allo "SHOW THAT NEVER ENDS". A Varese arrivano da: Ancona, Perugia, Firenze, Ravenna, Carpi, Modena, Padova, Crema, Seveso, Milano, Bergamo, Novara, Cantù, ect.) Il 6 Maggio 2011 u.s. è partito da Reichenbach (Germania) il nuovo Tour Europeo di ELP Tribute Project. Ecco un breve racconto del loro grande successo: "Being on Stage in the same Bergkeller Club where my buddy Tony Levin was there just one month ago, and FOCUS were there too, as well as main acts like: Fish, Pendragon, even Steve Hackett from Genesis played in Reichenbach!.. And getting a nearly packed club full of excited ELP fans, is something that really make me feel very proud of my ELP TP!...Thanks to my new Brother Larry EMO and thanks to Oscar Palmer-bro, Thank's: Uwe, Sit, Gunter, Dieter and to all the beautiful people @ Bergkeller in Reichenbach too!!! Move to tears, Mauro Lake :-)))"
The chief feature of the album is the "Tarkus" suite, originally forming the whole of side one of the album. The “Tarkus” album is without any doubt a ELP&apos;s Masterpiece, and came out in 1971. Greg Lake stated in an early interview that he viewed Tarkus as a representation of the military-industrial complex, and that his lyrics were about that, and about the futility of war and strife. On the album cover, commissioned to the graphic designer and painter William Neal, who won a contest between visual graphic artists held by ELP. The inner gatefold sleeve was made after the music was created and recorded, Tarkus is depicted as a half armadillo/half tank creature, born from an egg erupted from a volcano. The inner gatefold sleeve features a sequence of pictures depicting battles between Tarkus and other half-mechanical creatures, until its eventual defeat by a Manticore - the only creature in the tale that is wholly organic. Tarkus is then shown, defeated but still living, and weeping a tear of blood as he floats down a river in "Aquatarkus". The band later named its own record company Manticore Records. The lyrics of the "Tarkus" suite relate only very abstractly to the story as delineated in the images: “Mass” is musings on organised religion (as is "The Only Way"), while "Battlefield" is a general statement about war and what war causes (such as: "You talk of freedom? Starving children fall..."). Keith Emerson later said in his autobiography that he presented most of the piece fully formed to the rest of the band and as such Greg Lake was initially not pleased about the band's new direction. Pictures at an Exhibition is a masterpiece album by British progressive rock band Emerson, Lake & Palmer, released in 1971 as a live album and re-released in 2001 as a remastered edition including both live and studio versions of Modest Mussorgsky's classical piece Pictures at an Exhibition. The original live album was recorded at Newcastle City Hall in North East England. The opening track of the album was played on a Harrison & Harrison pipe organ which was installed in the City Hall in 1928. The organ console is some way above stage level, at the top of a stepped terrace used for choral performances. The drum roll connecting the opening track to the next served to cover Emerson's dash back down to the stage. There is also a video made of a different live performance (Lyceum Theatre, London - Dec. 9th, 1970). This had a limited theatrical release in 1973, and a remastered DVD release with Dolby surround sound in 2000. Being a live album, sometimes Keith Emerson's voltage-controlled Moog oscillators went out of tune, due to humidity and temperature, as usual for modular synthesizers. Cover design The original album cover, commissioned to William Neal who designed and painted every canvas, used a gatefold sleeve, depicting on the outside blank picture frames labeled with the titles of the pieces: "The Old Castle", "The Gnome", etc. The paintings size were huge oil paintings full of ELP symbolism, like the Tarkus background in the "Hut" and the white dove embossed into the Titanium white oil paint in "Promenade". On the inner sleeve, all of the paintings were revealed, but one remains blank: "Promenade". The musical piece, of course, is not about a picture, but represents a walk through the gallery. Some CD covers use only the "revealed" version. All of the paintings were later hung at the Hammersmith Town Hall London and photographed by Keith Morris and Nigel Marlow, both former graduates from Guildford Art School. The album reached #3 in the UK album chart in December 1971, only by virtue of the fact that budget-priced albums (of which Pictures at an Exhibition was one), were eligible for inclusion at that time. At the beginning of 1972 another change in the chart rules excluded them again, which meant that Pictures... disappeared from the chart from #9 after a run of just 5 weeks. In the US Billboard album chart it peaked at #10 in early 1972. A fantastic night along with a great band again yesterday night at Bergkeller in Reichenbach (East of Germany). Uwe,The boss of the Club, has the right choice-feel for finding out amazing bands, and these are excellent musicians indeed. You must be very talented to get the same high level for playing as Emerson or Palmer and singing like Greg Lake. I was very skeptical, but those guys can really play without any doubt. A young keyboard player which makes his hands flying on the keys like this one, he made me feel at the top. A couple of pics to watch: During "Knife Edge" a knife, of course, is appeared on stage as well! "I first heard Emerson, Lake & Palmer back in 1972, when I was all of 12, when my brother bought Trilogy to learn From The Beginning to play in his cover band. After close to 38 years, they're in my DNA. 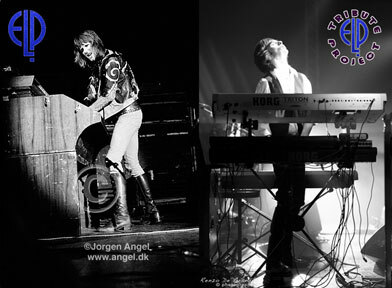 I'm delighted to say they're also in the DNA of the ELP Tribute Project. They have every nuance, every note nailed! They breathe ELP. The show kicked off with The Barbarian and its brooding, dark genius. The dark power continued with Knife-Edge and only lightened with the beautiful Take A Pebble. The band truly captured that early energy of ELP to perfection, and this was perfectly expressed with a complete, mind blowing Pictures At An Exhibition. It was one of those "time machine" moments - I was very nearly overwhelmed by what I was seeing as well as hearing. From The Beginning was lovely, followed by a very spirited take of Hoedown. I was basking in prog heaven at this point. Now it was time for Tarkus. Perhaps my favorite ELP composition, the ELP Tribute Project really delivered the goods here. The opening through the Battlefield section were played spot on to the studio version. Then we got a fierce drum solo going into Battlefield again - this time acoustically, and seguing into Epitaph before going back to a full band Aquatarkus. This final section was played with that rolling rhythm Carl Palmer played in the live sets of the Seventies. I was in disbelief. The evening ended on a light note with the rollicking Nutrocker. See this band if they are in your area. You are guaranteed a night of musical Mecca". From his early days of hearing Greg Lake sing on an older brothers Emerson, Lake and Palmer record, Mauro (Lake) Aimetti knew what he wanted from life. Studying to be a musician Mauro traveled from his Italian home to Boston’s Berklee College of Music where he honed his craft on the bass guitar. Flash forward to 2006 when Mauro Aimetti realized a dream and gave birth to his PROG. PROJECT, Emerson, Lake & Palmer Tribute band. Using original vintage 70's instruments (Hammond organ, Lesley, Mini Moog, Fender Jazz Bass, Gibson Bass, Guild 12 strings acoustic guitar, Gretsch Drums, bells and Chinese gongs, The ELP Tribute Project has been playing venues all over Europe and now they have embarked on their first tour of the United States. Carla: Why has the Tribute Project decided that now is the time to come to the US? 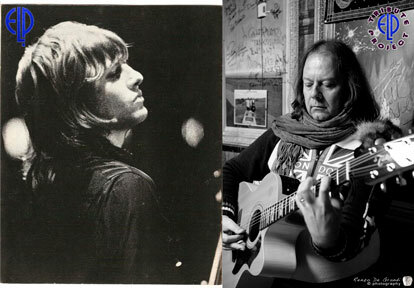 Did you choose to come over while Emerson and Lake were on there own tour or was it just fate? Mauro: Laughs... No, no, no... it was kind of strange. I believe in fate. I had recently lost my father and he was very much a big supporter of my music. Just after I lost him my music started to take a different direction. Shortly after I got a call for The Project to play with an orchestra in Hamburg and then after that we started putting a lot of our videos on You Tube and the internet. After that, an agent of the Genesis cover band The Musical Box contacted me when he saw them and that was the beginning of planning this tour. So fate just seemed to take us on these plans. Carla: I hear that you will be meeting Greg Lake on your tour too! Mauro: Yes! That has always been a musical dream of mine. He is my mentor and I have always looked up to him and respected him. I have been a bit of a "pen friend" with him and he has always been so kind to me. I think he is really great. He is my mentor in my music career and I think that he is a really deep man and very kind to me. I am really looking forward to that! 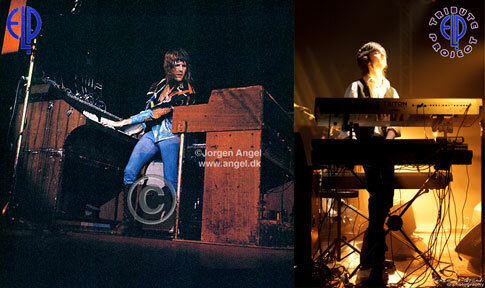 I have to say a big thanks to ELP and Greg and that is the reason I decided to take a musical career with my life. I heard them when I was just 12/13 years old and decided that a career in music would be my life. It is very special to me. It is also great to be back in the states after my Berklee College of Music days too! Mauro: Oh yes! Definitely. When I younger I had a small tribute band where we did songs like Take a Pebble and a few others. Later on I did a bit of jazz/funk and other styles when I was trained at Berklee. My favorite has always been prog music and the music of ELP. One night I got a call to see Carl Palmer play at a venue close to my house. I was only sitting a meter away and listening to all this great music like "Knife Edge" and others live. I realized that I really wanted to hear this great music live again. It had the same kind of impact that I had as a kid. I was so impressed by his energy. The main thing was trying to figure out if it was the right time to take all this music out on the road again. I saw all these young kids in the audience and they knew all the music of ELP! I think that the new generation is changing their direction in music and thanks to their parents, they are listening to the old records and open to this type of music again. After that, I was really impressed by this fact and then decided to form the band. Originally I would have loved to have Carl on drums! (Laughs) At the time he with ASIA and everything so there really was no chance. Carla: So what are people going to hear on this tour? I know that you have worked with orchestras in Europe but won’t be doing that here. Can you give us glimpses of the set list? Mauro: I am bringing a positive spirit with me on this tour. I know that there are a lot of fans in the US. I think that they will be pleased. We have quite a lot from over the years. Of course, Tarkus, Lucky Man and all the favorites, but we will also be doing a lot from the earlier albums... The Three Fates and others. We have a lot of good energy and talent and I think now is the time to share that with the fans in the United States. Carla: You have a lot of good venues scheduled and I hope that everyone will come out and hear your music. Mauro: Well this is a tribute to a band that I have always loved and it is my way of saying thank you for all the great music. I love this music and I am sure that everyone when they hear us will love it too! We have good musicians, good places to play and good music. I think everyone will have a great time. 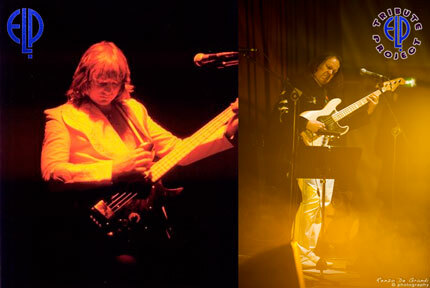 Our music is not a competition but the best way to show how much I appreciate the music of ELP. Carla: Thanks Mauro! I hope to see you on tour and wish you all the best while you are here and in the future. p.s. Mauro realized his lifelong dream and met up with his mentor Greg Lake in Cleveland! Catch the band on May13th at The Chance in Poughkeepsie, NY and on May 16th at the Ridgefield Playhouse, Ridgefield, CT! 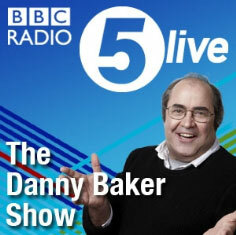 On a recent BBC Radio 5 show, Keith Emerson, Greg Lake & Carl Palmer talk about their 40th Anniversary reunion and also mention the Italian ELP Tribute Band.